Avid gardeners love the outdoors and getting their hands into terra firma. They revel in the interaction among sun, rain, air and soil that births new life and nutritious food. Yet backyard growing has its drawbacks. There might not be a large enough yard, for example (or no yard for apartment dwellers). By the same token, a gardener might have only one or two crops in mind, making an outdoor enterprise inefficient. Similarly, if wildlife abound, the task of protecting the garden can be time-consuming and expensive. Happily, indoor people can find just the right vegetables to grow in pots. Potatoes come in many varieties, the best known of which are All Blue, Yukon Gold and Red Pontiac. Experts advise using potting soil from a garden center as opposed to what the yard may yield. Nutrient-rich mix (about eight inches in depth) with a pH between 5 and 6 is an excellent medium for growth of potato seed tubers. Adding compost also benefits plant development. 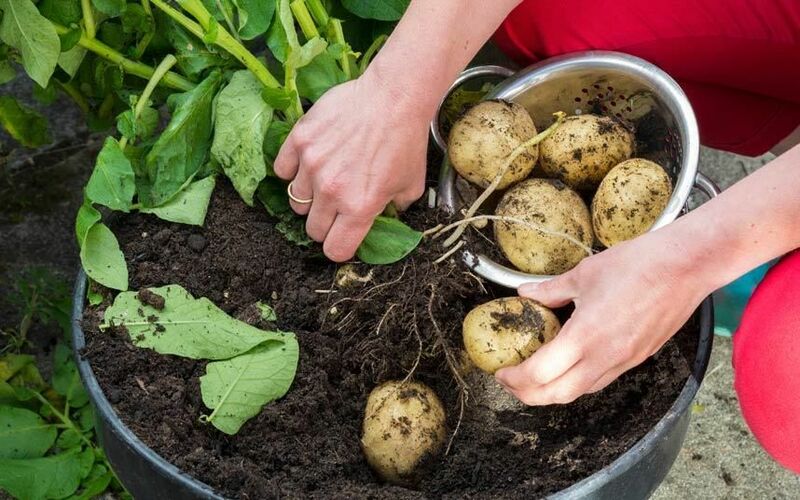 Central to the health of the growing potato is to give them space: leave a six to eight-inch difference between the soil surface and the rim of the pot. As the plant grows, add more soil around the stems. Maturity takes from 70 to 90 days. 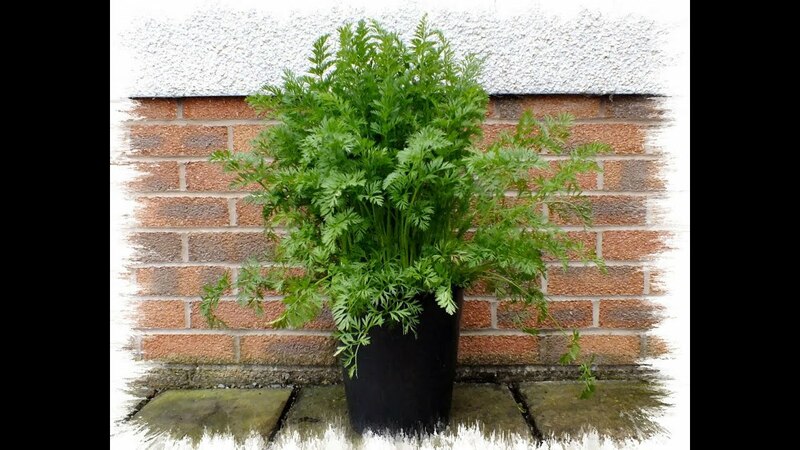 Those in search of vegetables to grow in pots need look no further than carrots. For container cultivation, many master gardeners like the Nantes variety of carrot. Whether growing them outside or in the house, carrots need abundant sunlight and moisture since they possess a hardened seed coat. In addition, a quarter cup of organic fertilizer aids their growth when added every six weeks. Pot depth should run close to 14 inches as the carrots can grow to seven inches long. If raising them outside, remember that the soil temperature should not drop below 55˚F. Most mature between 65 and 75 days. 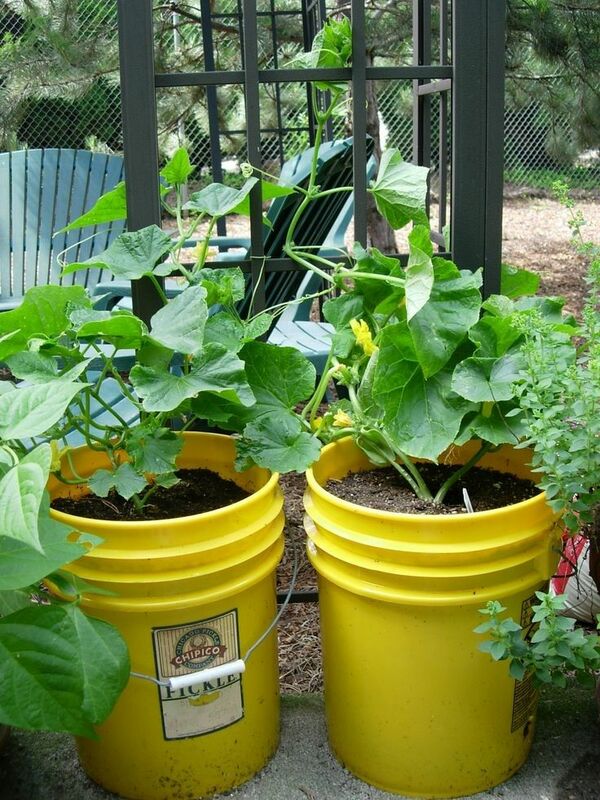 Space is a prime commodity when picking vegetables to grow in pots. Squash and other curcubits need ample room, so ideally plant only two seedlings per pot, removing the less robust after germination. Summer squash handles container growth better than the winter variety. In terms of pot depth, a foot and a half is the most common recommendation, with a minimum soil temperature of 60˚F. 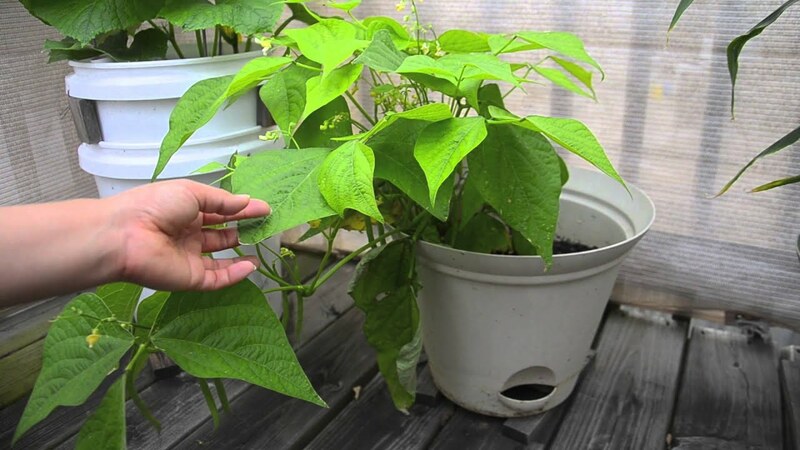 Squash can grow vines that overwhelm the pot so an overturned pot beneath the growing container gives sufficient accommodation to creeping extensions. 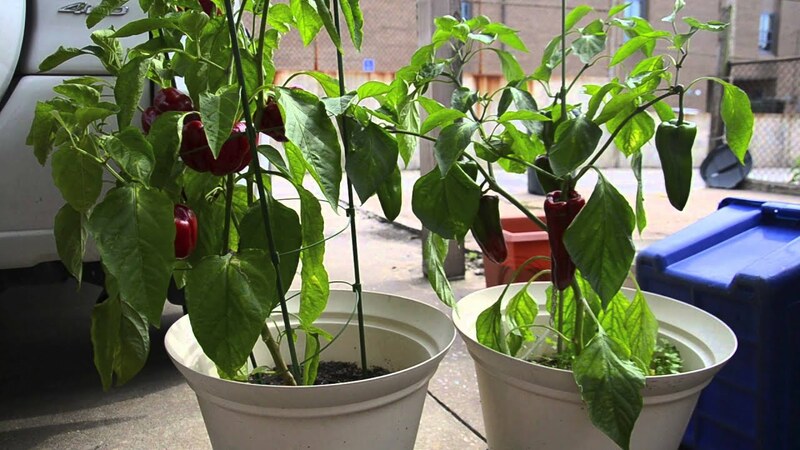 As with many vegetables to grow in pots, peppers have roots that are limited by the container. Accordingly, the burden of watering—once, sometimes twice, a day— falls on the grower since the roots can not extend very far. Also, peppers flourish with at least five hours of sunlight per day. Developing in an organically dense potting soil, peppers respond well to composted tea leaves as fertilizer. Again, an 18-inch pot is good for peppers, which have the added benefit of self-pollination. Shaking the plants occasionally helps the pollen to disseminate evenly. It is wise to remove any leaves on the lower stems and then plant them deep into the soil, leaving only the very top exposed. Always hungry and thirsty, peppers do not thrive if their nutrition is lacking. Most every variety of pepper – bell, chili, jalapeno, etc. – is successful in pots. The wonderful thing about growing snap beans is that they are both high-yielding and low-maintenance. The two major categories of there are pole beans and bush beans, the former growing on vines reaching six feet. Bush beans, by way of contrast, only reach a length of two feet. These snap beans produce a large number in one yield whereas the pole variety produces a modest amount, but does so multiple times. Plant in a mix of sphagnum moss, pasteurized soil and perlite, all in a 16-inch tall container. When the plants emerge, gardeners should mulch the surface to retain moisture. The beans are ready for harvest in about 55 days. As growers select vegetables to grow in pots, they must remember soil temperatures. Eggplant requires at least 70˚F for healthy development. Like tomatoes, eggplants are fruits that function as vegetables for culinary purposes. Being a heavy plant, an eggplant needs a large pot—with about a five-gallon capacity—in which to grow. Experienced eggplant enthusiasts advise supplementing potting soil with sand in a 2:1 ratio. This allows for both moisture retention and drainage. Time release fertilizer at planting time is also recommended. This crop can take up to three months to reach maturity so additional fertilization is a good idea. As with eggplants, the larger the pot, the better for growing tomatoes. This makes room for expansive root mass and the water it needs to absorb. Furthermore, gardeners should employ only potting soil that is labeled specifically for use in larger containers. The mix should not contain too much peat moss lest the root system be stifled. Cone-shaped vine trellises prove to be best to hold vines. Worth noting is the urgency of installing them early or else the plant may be damaged after partial development. Cherry tomatoes, of course, need no trellis support. All tomatoes, nevertheless, hunger for nutrients. Although potting mix provides an initial dose of plant food, growers should be scrupulous about applying the additional administrations per the seed instructions. Many gardeners puzzle over what vegetables to grow in pots. Besides those mentioned above, there are many edible plants that grow well in outdoor and indoor containers. Key to producing vibrant and nutritious produce is attention to specific needs: sunlight, oxygen, water and plant food. Employing pots and potting media might require tweaking the balance among these elements from their garden husbandry ratios. Careful adherence to directions on seed and soil packages is necessary, as is sensitivity to the spatial needs of each plant. With these considerations addressed, gardeners can enjoy growing vegetables all year round. Hey Buddy!, I found this information for you: "7 Vegetables to Grow in Pots and How to Care for Them". Here is the website link: https://backtofarm.com/vegetables-to-grow-in-pots/. Thank you.